So you’ve decided to learn Arabic. Maybe you’ve already read our other post on learning Arabic. Now you need to set your strategy to determine how to learn Arabic. Well, you’re in the right place. Here’ a breakdown of how to go about each of these suggested steps on how to learn Arabic. 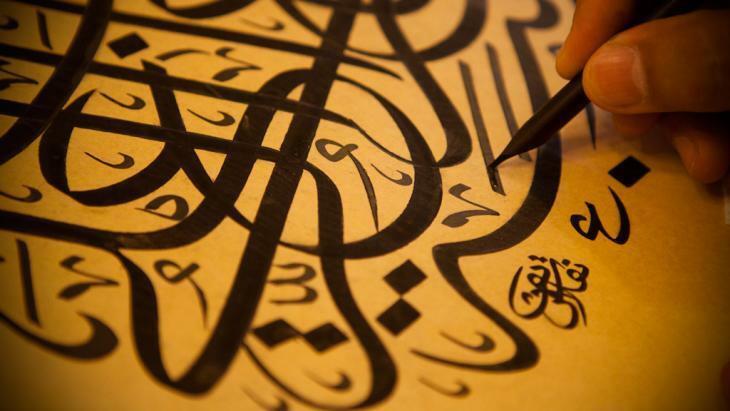 Start with the Arabic alphabet: Arabic has a very beautiful and unique alphabet. Some might even call it intimidating. We don’t think it’s so challenging, and we have a pretty easy to read post here if you want to learn the Arabic alphabet. Pick up a few core words: Once you’ve learned the Arabic alphabet, your next step is to move on to a few core words. The exact words you chose will depend on why you’re learning Arabic (e.g. work, pleasure, etc..), but we’d suggest beginning with the basics like hello / good bye, personal pronouns (I, you, he, she, it), and a few basic verbs (want, need, have, wash, eat, sleep, play, work, etc…) For basic words like these, I usually suggest using Google Translate and using the speak out loud feature. Expand to a few core phrases: Once you have some core vocabulary under your belt, if you’re really serious about how to learn Arabic, I’d suggest expanding to a few core phrases. There’s no need to go crazy here. Just pick any low-cost phrase book, and within the first few phrases, there are typically a few sections on “survival phrases”. I typically do not suggest using Google Translate for phrases. The reason is two-fold: Firstly, what you write in English may not commonly be said in Arabic. Secondly, for basic vocabulary, Google Translate is ok, but for more complex phrases, you might get some odd results.